1930 U.S. Census - Do You Own a Radio? For Mother's Day this year, the kids and I got Melanie a 23andMe DNA testing kit. She has spent a fair amount of time over the years researching the family lineage which, in case you care, traces back primarily to Germany and Switzerland. Along with some of the online ancestry websites, she searched the U.S. Census database for immigration and early American household information (number of people, ages, names, occupations, etc.) The entire 1930 Census form consisted of a single page seeking basic information on whether you own or rent, value of the home, live on a farm or not, color or race, place of birth, veteran or not, etc. 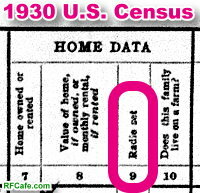 Interestingly, the 1930 census also had a question asking whether there was a radio set in the house. Station KDKA, in Pittsburgh, Pennsylvania, made the first commercial radio broadcast in November of 1920 (reporting the Harding-Cox presidential election results), so having a radio in the household was a relatively new phenomenon. 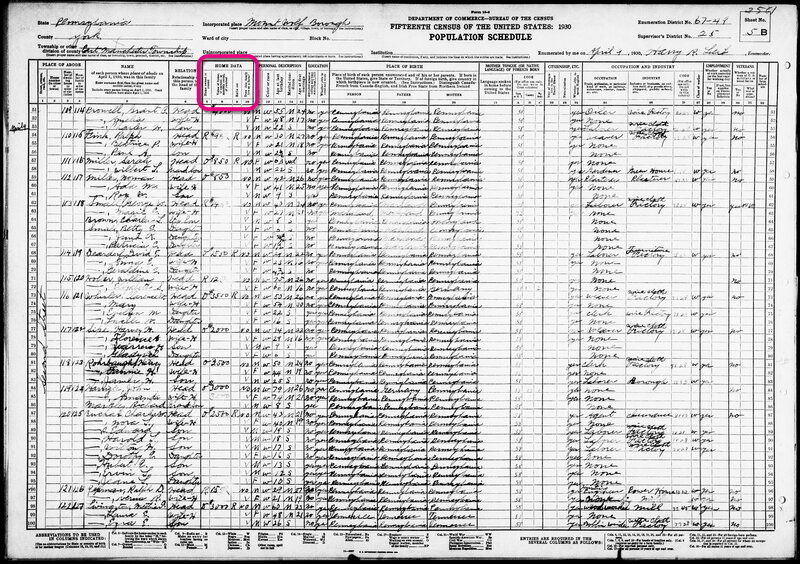 If you look on the U.S. Census website's page listing the questions included on the 1930 Census form, the radio question is not there! The 1930 Census Form 15-4a for which an image is provided indeed does not include the radio question or any space for household data. 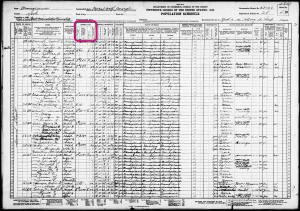 1930 Census Form 15-6 (image above), which Melanie found, contains the radio question. Evidently there were multiple versions of the form, so that raises the question of how accurate the summarized data was. This is why whenever possible, I look for original documents when researching historical data rather than relying on somebody else's research. A combination of ignorance, stupidity, laziness, and personal prejudice often results in incomplete and/or incorrect data being presented by 'authorities,' which is then cited as gospel by successive authors. Beginning with the 1940 Census, separate questionnaires were used for personal data and household data. The 1940 Household Census form asked about the presence of a radio, and the 1950 Household form asked about both radio and television. The 1960 Housing Census was the first to ask about air conditioning and telephone. The 1970 Household Census asked specifically whether there was a battery-powered radio in the household. None yet have asked about computers or the Internet. This information assumes the page author actually got it right.